The perfect book to prepare for the 100th anniversary of the Virgin Mary's apparition in Fatima, Portugal. Few books can provide such a penetrating, close encounter with a major Catholic event as Fr. 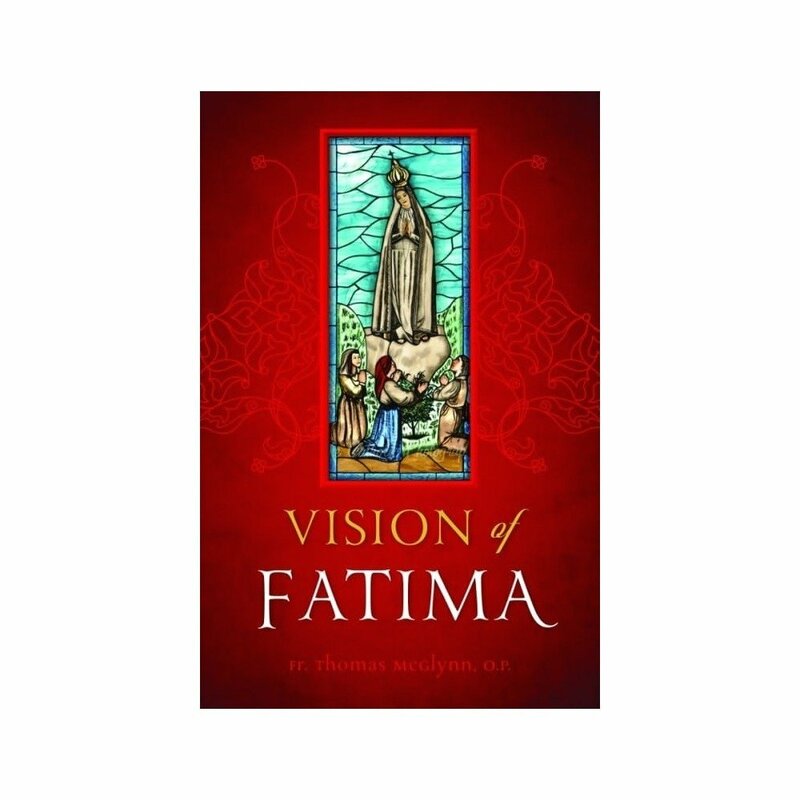 McGlynn's Visions of Fatima. In these fascinating pages, Fr. McGlynn tells the remarkable story of his time with Sr. Lucia one of three witnesses of Our Lady's apparition near Fatima as she directed him in his sculpting the famed statue we know as Our Lady of Fatima. Fr. Tom's first encounter with Sr. Lucia was in 1947, thirty years after she and two other shepherd children witnessed the apparition of our Blessed Mother. He brought to her his initial sculpture which he had created in the United States, asking for her blessing and approval. But she refused, claiming it was all wrong. Fr. McGlynn protested that he be allowed to show artistic expression in the statue, but Sr. Lucia would have none of it. Fr. Tom remained at the Convent of Coimbra in Portugal to sculpt a new statue under Sr. Lucia's direction. She insisted Our Lady's hands be positioned just so, the tunic fall exactly the way she remembered, the star placed on the proper spot on the tunic, and the ball of light around her neck reaching almost to her waist. She would make corrections as he worked, and at times would even take one of the tools and make changes to his model. This book is Fr. Tom's account of his time with Sr. Lucia, her explanation of the messages of Fatima, and the spiritual meaning of the apparitions. There is no more fascinating and insightful book than this first-hand account of the Dominican priest who worked under the direction of a poor Portuguese nun who saw and spoke to Our Lady.